I think this week will be known as Glitter Week since it'll pretty much take over the blog for the forseeable future. Today I have swatches of two of the polishes from Kiko Milano's Limited Edition Holiday Collection. Big thanks to Wizard Publicity for sending over the polishes for me to try. The packaging is designed by Ross Lovegrove, who also designed the packaging for the last limited edition collection, Neo Noir (which I still have to show you!) The shape is inspired by *feminine sensuality* and nature. The two shades I have are Rich Gold and Pleasant Silver Rose. You can also get the shade Full Red to complete the Holiday trio. The below swatches are two thin coats and a top coat. As you can see, the glitters don't have holographic bits unlike a lot of glitters coming out this season (you'll see them soon!) 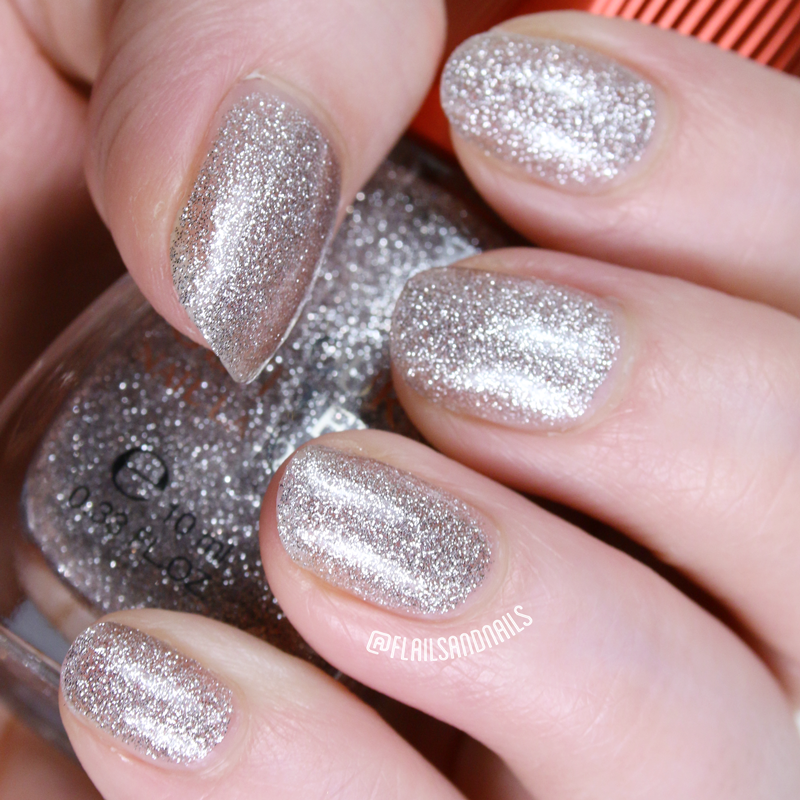 With two coats, you can get decent coverage and the glitter distributes evenly across the nail. It's a smooth glitter as well so don't be worrying about it being lumpy. You can't go wrong with a gold or silver (well, slightly pink silver) polish around Christmas. Layered on top of a red creme or even a gold or silver polish would pack a punch. The Kiko Milano Limited Edition Holiday nail polishes are £6.00 each and can be purchased from Kiko Online or in Kiko Stores.